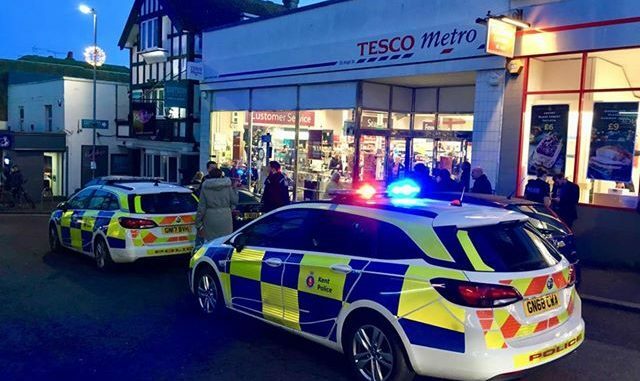 Police have blocked Broadstairs High Street today (December 24) as they respond to an incident close to the Tesco Metro store. Witnesses at the scene say a man threatened a passer-by. A Kent Police spokesman said: “Kent Police was called at 3.55pm to reports of a disturbance in Broadstairs High Street.